First off, this is what came in the mail yesterday! Yet another brush I know, but not just any brush. The Everyday Minerals flat top brush has soft synthetic bristles yet the brush head is packed densely so what you have is a soft yet dense brush. I can see why girls are loving this little darling – not only is it cute (it barely fits into the palm of my hand!) it looks serviceable and feels lovely on the skin – not scratchy at all. I’m going to be taking this baby on a test run soon and we can expect reviews after that. 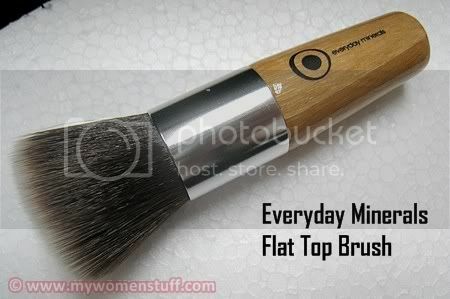 The Everyday Minerals Flat Top brush retails for RM38 on Loving Minerals (or US$10 on Everyday Minerals’ site) and is always sold out due to its popularity, so make sure you stalk them for your flat top brush! I’ve also picked up a couple of Smashbox Fusion Soft Lights powders in Gossamer and Dimension which came in the mail today. I’ve never tried Smashbox before and these looked pretty 😛 Besides they are blush or blush/highlighters so of course I was taken in. PREVIOUS POST: Help! My foundation oxidises on me! I’m lemming the gossamer just because of the colour…let me know how that turns out! and smashbox! 😀 waiting for your review! Hey Nikki! Everyone loves it so, I’m glad I got it. I’m more likely to use it for non-MMU though. Funny you blogged this today. I just gave mine a good clean today. One thing to keep in mind though, this blasted thing takes an eternity to dry because the bristles are so tightly-packed! 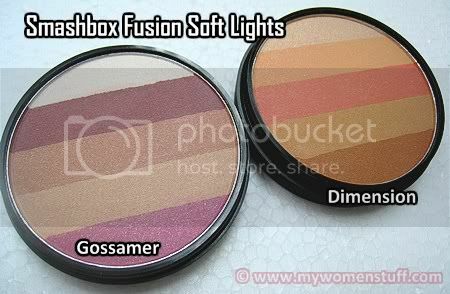 Smashbox Fusion Soft Lights are great! I love Dusk 😉 My other bronzer/blush/highlighter favourite is Too Faced Beach Bunny. EDM Flat Top Brush! One of my favourite brushes of all time! Ooh… those Smashbox blush look too lovely to use! girl, we are really different now. I wouldn’t have picked those two. LOL. But it’s OK because then we can read about different products!!! I still can’t see myself usinf a flat tiop brush again. Hi jojoba: Probably but I’m a sucker for trying new things – I like flat tops, why don’t you like them? They work a treat for my blush. Hiya Rinnah: And this isn’t the last of it by a long shot! Overload!! will be waiting for ur brush review, i need a foundation brush badly. *sigh* need to contribute to economy again. lol. love the colors of gossamer <3. do a swatch soon! Oooo…tell me about the brush!!! cos it catch my eyes sooo much n the price…oh god! it is cheap! Hey Syen: I don’t own the Bobbi kabuki so I can’t compare but I will compare it with other kabukis I do own. Ah! You have Intermix! That was the other one that caught my eye. I love the EDM flat top brush too! I think it gives a great coverage of your mineral foundation! Your skin looks flawless after that! And like you said, it’s dense and picks up foundation wonderfully. Enjoy it! Im definitely going to stock up on my brushes! Hey dweam, I’ll be sure to update when I have tried it! Especially with foundations other than mineral ones.